Chinese technology firm Meitu has always been more famous for its mobile apps than the smartphones that it makes. The company has established a rather sizeable business just out of making skin beautification apps — Meitu’s apps were reportedly installed at least once on a staggering 1.1 billion devices globally by 2016. Now, it seems that the company aims to take its expertise in producing selfies on to its hardware division, and slap on a luxury designer brand to the label as well. 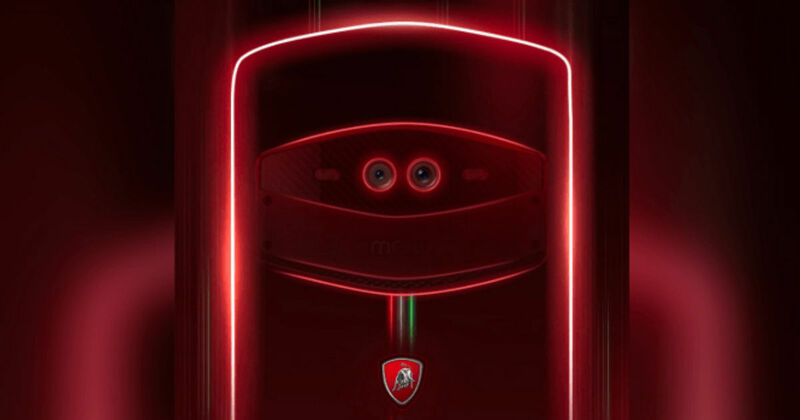 Such is the combination that is expected of the Meitu V7 Tonino Lamborghini Edition, a smartphone that has reportedly been confirmed to be launching with three front-facing cameras. It is important to note that last month, Xiaomi signed a strategic alliance with Meitu, wherein it was agreed that Xiaomi’s Redmi division will choose device configuration and design, and manufacture Meitu-branded smartphones. The latter, meanwhile, will apply its expertise only in the imaging department, seeing how strong that vertical of its business is. The revenue split will see Xiaomi sharing 10 percent of gross profit per smartphone sold with Meitu for five years. This agreement holds for for all Meitu smartphones except the V7. The V7 Tonino Lamborghini Edition smartphone is slated to feature a front camera configuration of 12-megapixel + 12-megapixel + 8-megapixel, with no details on how this configuration would work (probably a primary autofocus sensor + ultra-wide angle + depth of field module). The rear imaging unit is reported to feature a 12-megapixel + 8-megapixel configuration. Despite the thick bezels, GizmoChina reports that the Meitu V7 will house a 6.21-inch, full HD+ AMOLED display with screen resolution of 1,080 x 2,248 pixels, with an unusual aspect ratio of 18.7:9. Other specifications suggest the Qualcomm Snapdragon 845 inside, along with 8GB RAM and up to 256GB storage. Being a Tonino Lamborghini-branded device, the rear gets understandably plush-looking leatherette and a metal strip bearing the brand’s name. The shape of the device is also slightly unconventional and while that makes for interesting conversation indeed, it remains to be seen if the Meitu V7 Tonino Lamborghini Edition smartphone can be the first from Meitu’s hardware stable to break duck for the brand.